"Nicolas Tesla: The Man from Future"
From September 29, 2018 to January 6, 2019, "Nicolas Tesla: The Man from Future" will be staged at Shanghai Science and Technology Museum. A retrospection of the life and the extraordinary inventions of Nicolas Tesla, the Serbian-American inventor, mechanical engineer and electrical engineer, the exhibition explores his charm beyond his own times from three aspects: spirit, achievement and vision. The legendary life of Tesla unfolds before the audience through dozens of device models based on his inventions, valuable historical pictures, documents and archives, and an interactive exhibition wall designed for children. 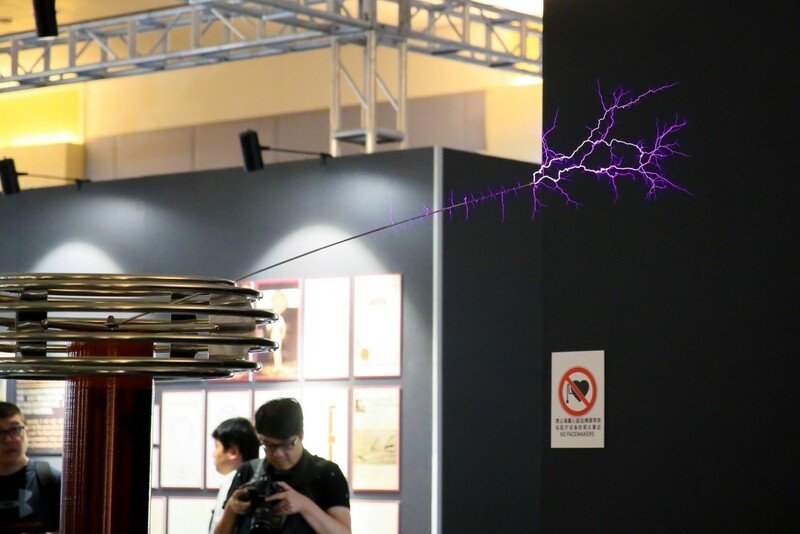 A 3-kilowatt Tesla coil model is open to the audience at regular times, and the visitors are impressed by the wonder the moment the coil discharges electricity. The exhibition also provides educational activities such as electromagnet and generator making. The exhibition is the result of the friendly cooperation between Shanghai science and Technology Museum and the Nicola Tesla Museum in Serbia. It is also another attempt of Shanghai Science and Technology Museum to promote the spread of culture and technology in response to the national "Belt and Road" Initiative.